Steve O'Keefe is a true artist. He loves cars, photography, pottery, architectural design, drawing, and fine art. He's built houses, restored classic cars, and produced stunning photography and sculpture. He see's the potential, the future, of what an object or home can be. He's a visionary. Several years ago, he got an idea to fuse two of his favorite passions: classic cars + photography. He found the bus, swapped the engine, painted the exterior, and replaced the chrome. He worked until it was perfect then he designed and built the photo booth. Now, he's proud to offer his clients this fun and unique photo experience. Not only will clients get to look and admire one of California's most iconic classic cars, but they will get to capture some beautifully crafted photos. Our 1971 VW Bus is the perfect fusion or classic styling and modern amenities. We love original classics, but we couldn't help but upgrade the engine. A Subaru conversion was just what it needed. So we researched, talked to experts, watched videos, and dove in. The result is a beautiful bus with the guts to get where we need to go. Inside the fun exterior, you'll find a modern photo booth, professional lighting, and top of the line photography equipment. We offer printed media and digital copies. Display your photo strip and share on social media sites all in one convenient (and super cute) package! Let your friends pick their favorite props + take stunning photos. We offer hats, feather boas, mustaches, silly glasses, a horse head and much more! You can also add fun favors like magnetic photo holders, a photo strip sign guest book, or a custom art piece to display your images on. Thanks for checking out Big Bear Photo Bus. We hope you've enjoyed your visit and look forward to working with you soon! 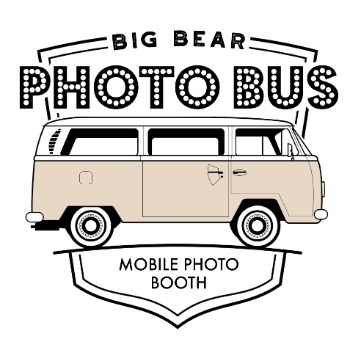 Feel free to drop us an email or fill out our contact page if you'd like more information about booking Big Bear Photo Bus for your next event.